Imagine... Your Tournament at Willow Valley. Call Carrie at (905)-679-2703 or Inquire Below! 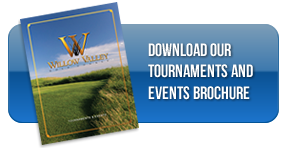 Willow Valley hosts some of the most outstanding golf tournaments in Hamilton. With our marquee tent placed in a picturesque setting, we offer a quaint environment for groups of 40 to 200 guests. With our focus on customer service, Willow Valley is the perfect facility to hold your next Corporate Outing or Special Event. Welcome sign and placement of hole sponsor signs. Driving Range privileges for all guests. Bag drop services for all guests. Shared power carts with sunshades. Discount on prizes purchased from the Willow Valley golf shop. Longest drive and closest to the pin signage. Since opening in the summer of 2000, Willow Valley Golf Course has been committed to providing the region with a premier golf facility. Our prestigious course is designed to challenge golfers of all abilities. Our track features generous sculptured fairways framed by creeping fescue, 4 sets of elevated bentgrass tee decks, large expansive greens, as well as numerous fairway and green side bunkers. Willow Valley is one of Hamilton's finest public courses. Your guests are sure to encounter many risk/reward opportunities that make the game much more fun. They will certainly be talking about what a great day they had long after the event! World-renowned designer Graham Cooke designed our golf course, which boasts bentgrass fairways, gently rolling bluegrass, fescue roughs, and 70 bunkers of pure white Ohio sand. We have established environmental areas to preserve wildlife habitats and promote natural flora. Our landscaping and gardens have also earned us several City of Hamilton Trillium Awards. Our Marquee has some tremendous views of the golf course and is a wonderful place for pre-tournament registration as well as dinner following the event. 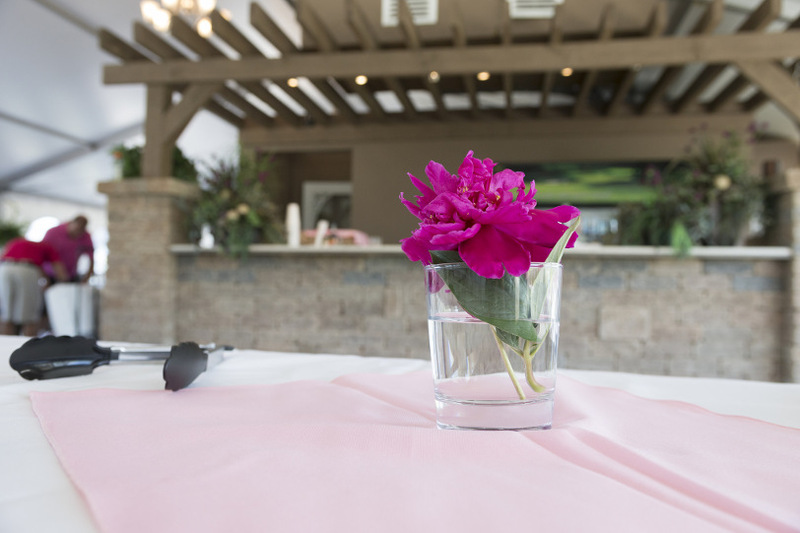 Whether your event is for charity, business or friendly competition Willow Valley can accommodate your needs. Signage for your event can be put in the clubhouse, on the marquee and throughout the golf course. We will set up your specified registration area, complete with tables, chairs and linen. To make sure that your guests start enjoying themselves right away, we offer driving range privileges prior to the start of your tournament. We also offer shared power carts with customized player name plates and bottled water with ice for each golfer in the cart’s cooler. All guests are treated with the utmost care; we offer bag-drop services to unload golf clubs and place them on the carts. Willow Valley is certainly one of Hamilton's finest public golf courses, and we are currently booking events for the 2017 and 2018 golf seasons. So if you’re looking for a great venue in Hamilton for your golf tournament, we would like to add your event to our tournament calendar. We offer a wide range of tournament options and packages to fit into everyone’s budget. Our experienced staff will work closely with you to make sure that your event will go without a hitch. At Willow Valley we pride ourselves in providing outstanding service to our guests. Our staff has years of experience in organizing corporate, charitable and social functions and is dedicated to excellence. Whether you are a resident or visitor to Hamilton, golf tournaments are our speciality! We are confident that you will enjoy your experience with us. Our employees are committed to one goal: make our customers happy. You can rest assured that your guests will be treated with the utmost care and respect. They will certainly leave commenting on what a great day they had! Come out and have a great time at Willow Valley Golf Course – the perfect location for golf tournaments in Hamilton! 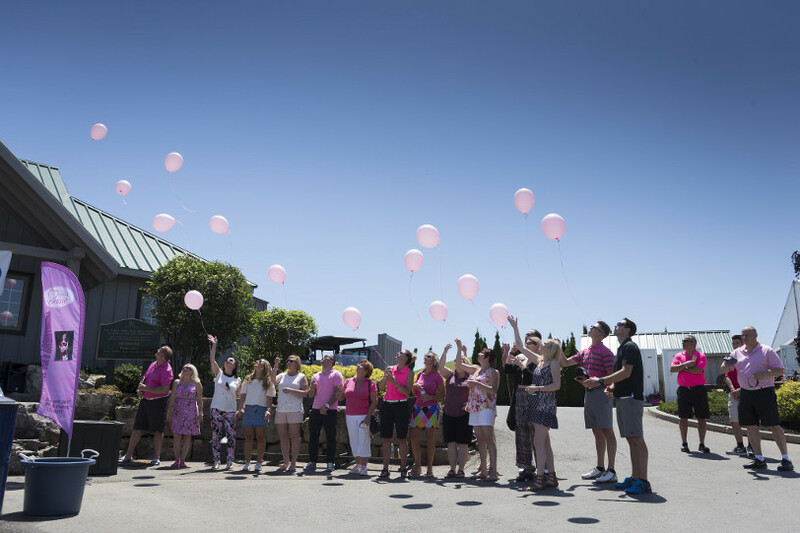 Whether you want to bring your corporate team closer together, raise some money for a good cause or just have a great time with a group of friends, Willow Valley’s staff is ready and able to help plan for your best golf tournament. Hamilton’s breathtaking scenery will captivate you and your guests. 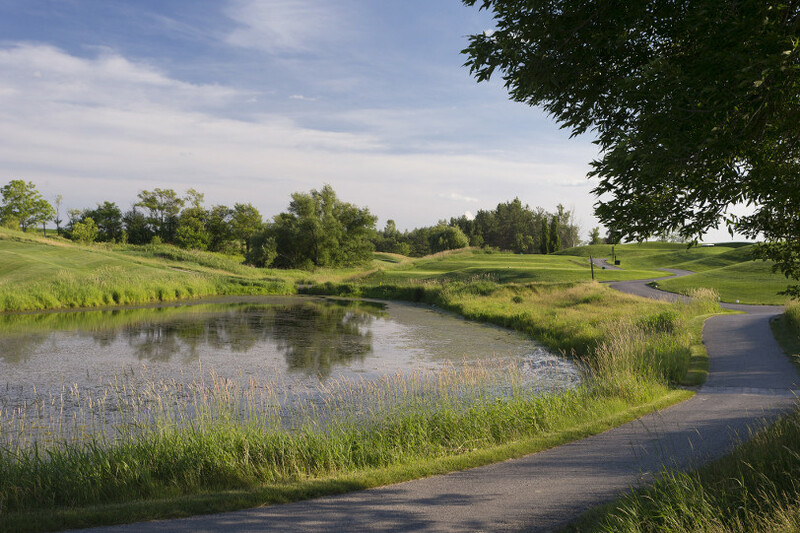 At Willow Valley, we are aware that you have many options when selecting a great golf course in the Hamilton area, so we go out of our way to surpass your expectations. Our course is designed to challenge all golfers equally, regardless of their individual game prowess, which means that everyone who comes out for your tournament is sure to have an enjoyable time. 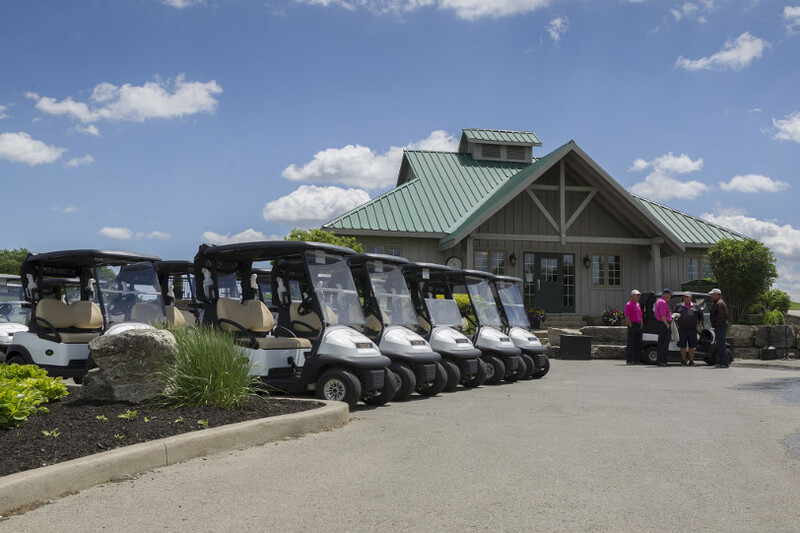 When you book your Hamilton golf tournament with us, an on-site tournament coordinator will automatically be assigned to help you on the day of your event to make sure that everything runs smoothly and you will enjoy a host of other services as part of our tournament package. If you want to have an on-course contest or a specialty hole, we will set it up for you. When the golfing day is done, we offer tabulation of all scorecards upon entry to the Willow Valley Pro Shop, according to the format you selected for your Hamilton golf tournament. We also offer a clubhouse reception with a 15 % discount on all prizes purchased from the Pro Shop. On top of all of these services, you can choose to add other features to make your tournament suit your needs. The optional tournament services include: a bagpiper; beverage and/or meal tickets; customized logo balls for as low as $22 per dozen; photographer services; access to a projector and screen; proximity markers; a putting board; access to rental clubs (Cobra brand clubs); trophies, plaques and/or other awards; and Willow Valley bag tags with player names, or whatever customized greeting you wish. We can accommodate up to 144 golfers per tournament, and they will each get the same level of service and personal attention as if they were only in a foursome. We’re all about making sure you’re happy with your tournament, which is why we offer several formats - to make sure your day suits your needs. With a traditional start format, foursomes of golfers will tee-off in ten minute intervals. This format is available Monday through Sunday, upon request. A crossover, or split-tee start has foursomes of golfers teeing off in ten-minute intervals from the first and tenth tee block at the same time. This tournament format is available Monday through Sunday upon advanced request and at the discretion of golf course management. If you want to have everyone ending their games at approximately the same time, then a shotgun start is the best option for you. In this format, foursomes tee-off from separate holes all at the same time. This type of tournament is available Monday through Friday, with a morning start time of 7:00 am., or in the afternoon with a starting time of 1:00 pm. Weekend starting times are available at 1:00 pm. All shotgun tournaments are based upon the guarantee of 144 golfers. Any difference in number on the day of the event will result in the issuance of rain checks for the balance. If you’re running a smaller tournament, but still want to have everyone finish together, then a modified shotgun start is a possible option for you. It requires a minimum of 72 golfers, and a maximum of 96. All golfers tee-off at the same time on separate holes designated by the golf course. With a modified shotgun start, the remaining space on the golf course will be made available to regular customers. Like the regular shotgun start, this type of tournament is available Monday through Friday, with a morning start time of 7:00 am., or in the afternoon with a starting time of 1:00 pm; weekend starting times are available at 1:00 pm.